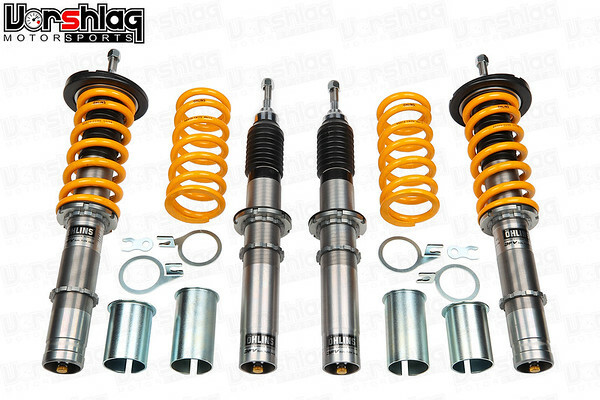 This kit fits the 1996-2004 Porsche 986 Cayman/Boxster and the 2005-12 Porsche 987 Cayman/Boxster. 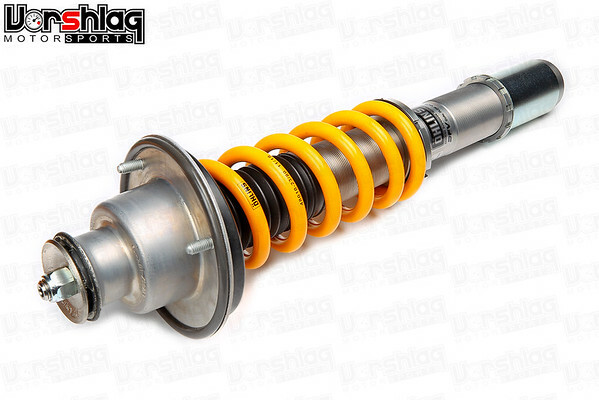 It comes with Front 70N/mm & Rear 80N/mm coilover springs, and with no options includes all of the parts shown above. There are some additional small pieces that are only used on the 986, and other parts that only fit the 987 versions - all of these small pieces are included and the instructions are very detailed and explanatory about what goes with what car model. 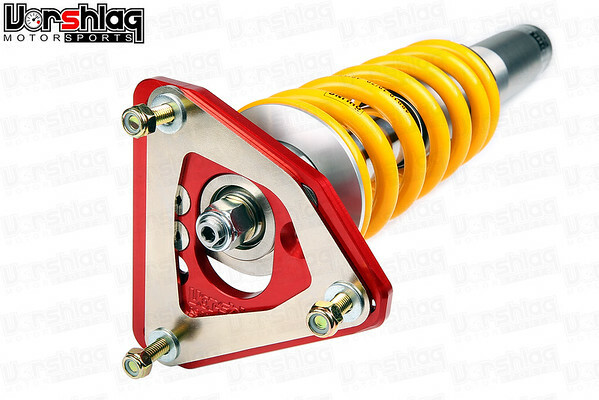 We highly suggest adding the optional Vorshlag camber plates for any road course or autocross use, which gives more front alignment adjustment and saves tire wear on track. We can also supply the rear top mounts necessary for the 986 or 987. Please see below for these two separate options. REAR SHOCK MOUNTS : You can re-use the OEM rear top mounts to save a little money, but they might be worn and removing those requires extra work. Optional Rear Upper Shock Mounts include. 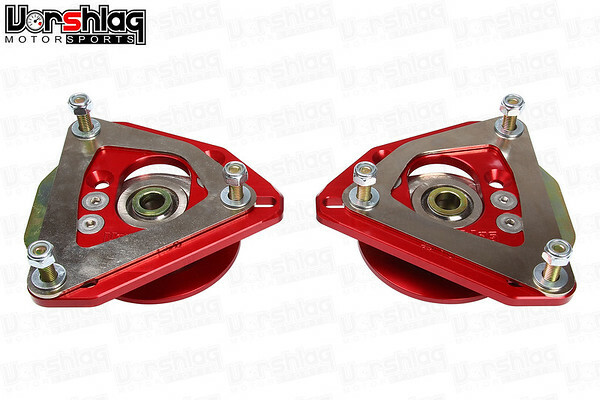 Vorshlag can supply a pair of new Porsche top mounts and this way the rear dampers, springs, and top mounts can be pre-installed, torqued, and ready to install.